Liquid-cooled 645cc, 90° V-Twin engine delivers strong torque in the low to mid-RPM range, yet provides a strong rush of high RPM power that’s ideal for any riding mission. ADV fairing, with vertically stacked headlights and adjustable windshield houses a multi-function, illumination adjustable instrument panel that delivers a wealth of information. Low-friction resin-coated pistons and SCEM-coated cylinders helps deliver high mileage for class-leading touring range. 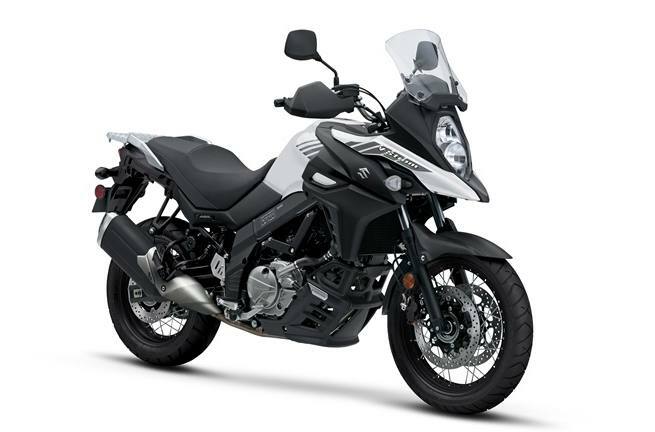 The fuel injection system employs Suzuki’s innovative, SDTV (Suzuki Dual Throttle Valve) on 39mm throttle bodies. The secondary throttle valves are controlled by a servo motor for smooth power delivery. 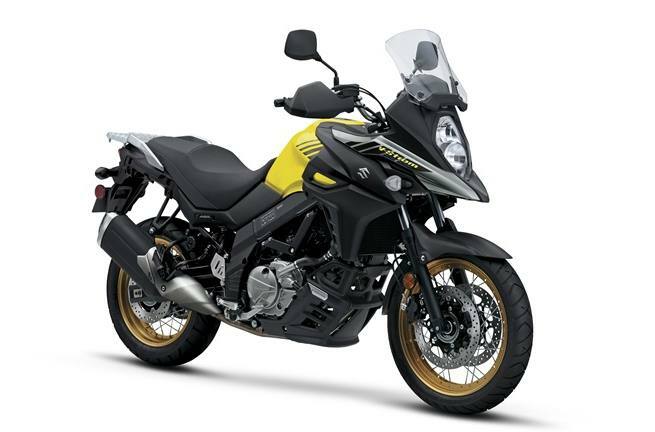 The V-Strom also features the Suzuki Easy Start system which lets the rider start the motorcycle with a momentary press of the start button without pulling in the clutch lever when the transmission is in neutral. The compact radiator is flanked by wind directing plates that enhance cooling efficiency and direct heat out of the side vents away from the rider’s legs. 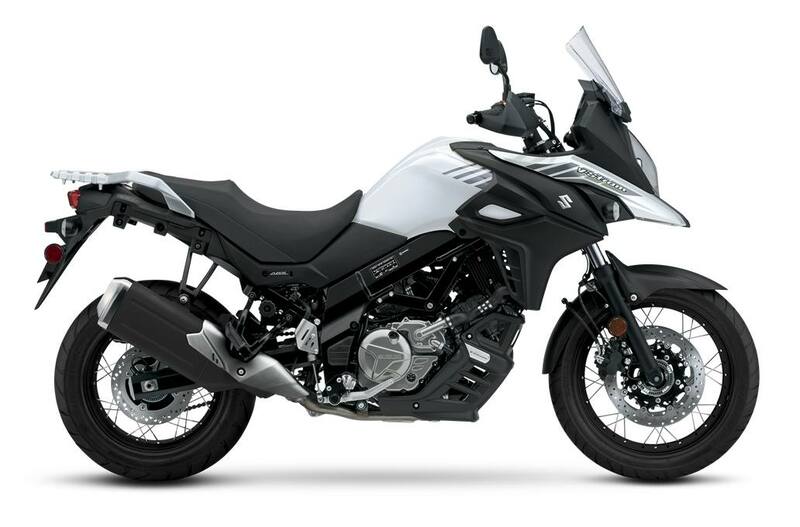 The beak-style fairing, with vertically stacked headlights and new mounting structure helps the V-Strom 650XT ABS cut through the wind, protecting the rider in style. The fuel tank has a generous 5.3 gallon capacity but is shaped to be thin at the rear to flow into the slimmer seat which aids the rider in touching the ground at stops. 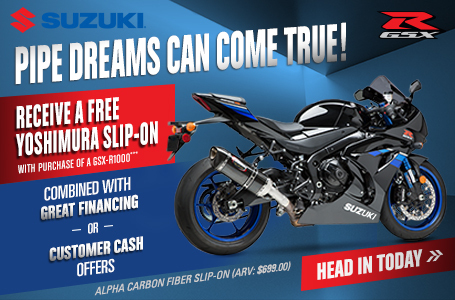 Even with a variety of features and advanced engineering, the 2018 V-Strom 650XT ABS’s weight 2.0 pounds less than the prior generation V-Strom 6550 XT. The multi-function instrument panel is similar in appearance to the V-Strom 1000 ABS panel, but has functions unique to the V-Strom 650XT ABS.